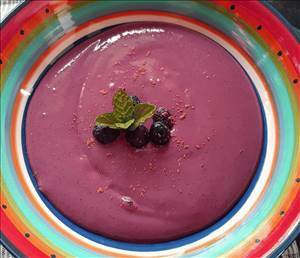 Serve in bowl with a sprig of mint and a few blueberries. There are 343 calories in 1 serving of Red Velvet Smoothie. Calorie Breakdown: 23% fat, 63% carbs, 14% prot.